Russian citizen Akhlas Akhlaq has been executed in Pakistan together with three other men, all convicted of attempting to assassinate former President Musharraf, Pakistan’s Interior Ministry confirmed to the Russian Embassy. Earlier, Russian diplomats, citing Akhlaq’s lawyer, said the execution could be postponed until the arrival of his mother on Monday. Akhlas Akhlaq is one of five men sentenced to death in Pakistan for a failed plot to assassinate Musharraf. 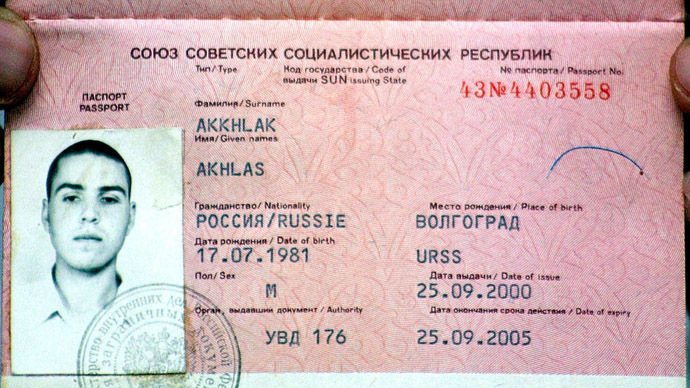 Akhlaq, born in the city of Volgograd to a Russian mother and a Pakistani father, was one of the men arrested following a suicide attack on Gen. Musharraf's convoy on 25 December, 2003. In the assassination attempt, two suicide bombers tried to ram explosives-laden vehicles into the president's limousine. Seventeen people died. Akhlaq denied all charges brought against him. "The Pakistani authorities intend to execute him [Akhlaq]," a representative of the Russian Embassy in Pakistan, Vadim Zaitsev, told Sputnik news agency. The death sentence could only be carried out after Akhlaq said his goodbyes to relatives, he added at the time. "[A police inspector] has informed me that my son will be hanged today in the morning. And they asked me to come immediately to Faisalabad to see him for the last time,” Akhlaq's father, Akhmad said early Sunday morning. “They took the wrong person,” Akhmad said, adding that he has proved that Pakistani authorities had also charged British nationals by mistake. For over a decade, the Russian Foreign Ministry tried to work with the Pakistani authorities to resolve the case. The ministry argued that Akhlaq was tried by a military, not civilian court, as required by Pakistani law. Furthermore his trial was closed to the Russian authorities and the public. Akhmad Akhlaq, the man’s father, told RT in 2007 that his son was innocent and not involved in the assassination plot, as the accused was in Russia at the time. “There is no evidence that he wanted to assassinate the president whatsoever. He is also accused of speaking out against the current Pakistani government. But he was in Russia at the time they say he was doing this. And I have proved this. I sent money to him through the Foreign Ministry at that time,” Akhlaq Sr. said. The news of Akhlaq's execution comes as Pakistan executed two convicted militants after lifting a moratorium on the death penalty in response to the murder of over 130 children at a Peshawar school by the Taliban. It is planning more hangings as well as intensification of airstrikes against militants. The reintroduction of capital punishment, many NGOs say, will send a lot of innocent people to their deaths. "Our research suggests that many of the individuals, who would be first in line for execution, are simply not terrorists, and that the law is being abused in a way that perverts justice and fails to keep anyone safe," says Maya Foa, head of the Reprieve human rights group. The Human Rights Watch group condemned Pakistan’s move and called to stop executions of those imprisoned for terrorism, calling on Islamabad to abstain from "vengeful blood-lust".